Don’t go Overboard on the Local Food: Local Indian cuisine is mouth-watering tasty, but that’s primarily because it is prepared in such a wide assortment of spices and oils. If you aren’t used to it, they can seriously leave you spending the whole of next day visiting the restroom! This by any means, doesn’t mean you shouldn’t try out the local cuisine whatsoever, but only that you do it with some caution and self-control! Keep your wits about: Honestly, this is the only real inside advice I’d give to any western tourist that comes to Mumbai. Compared to most western cities of this size, the pace at which life moves in Mumbai is dazzling & extremely unsettling. As a stranger, unfamiliar with the city, you can very easily feel unbelievably hassled & harried with its frantic pace & chaotic nature, where you’ll constantly be pressed for personal space. You can ill-afford to allow any of your senses to switch off for even the minutest of time-frames. While Mumbai is amongst the most liberal places in India, as a white-skinned traveler, you might be a constant source of attention, often unwanted – people will stare with fascination for no apparent reason. While most people you meet will be kind, friendly & warm – plenty will even go out of their way to help you out, but please understand that a large part of the city lives in sheer poverty, crime is rampant, and amongst such a large number of people, you’re bound to meet your share that will want to hoodwink you or take you for a ride. Be aware of Local Sensitivities: For the umpteenth time, Mumbai is a fairly liberal, cosmopolitan city, but its large diversity also means the existence of a sizeable number of sensitivities. Like most parts in India, the city feels very strongly about religion(s). Take every care to respect local cultures, norms and beliefs, just like you would anywhere else you travel to and always steer clear of local conflicts, no matter how trivial in nature. 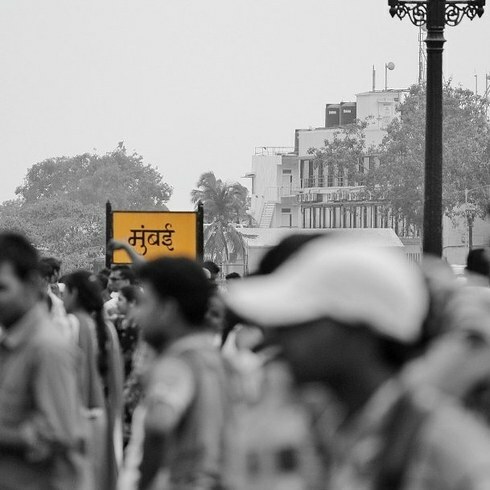 Mumbai – the city where a million dreams collide…everyday!